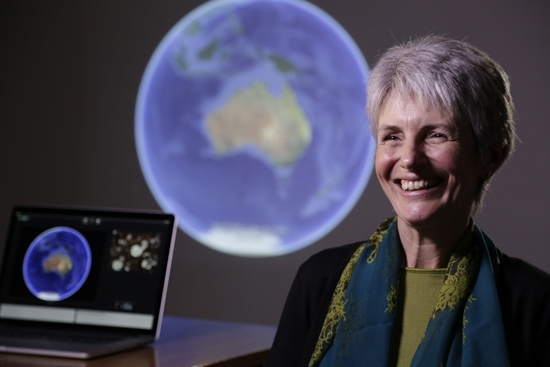 Associate Professor Jane Elith is a Senior Lecturer in the School of BioSciences at the University of Melbourne. She specialises in species distribution models, statistical models that describe relationships between the occurrence or abundance of species and the environment. Jane has made outstanding original academic contributions to species modelling by authoring highly cited guides to methods, helping develop and extend methods appropriate for typical data types, and testing methods and exploring their uncertainties. Her research has important applied significance because species distribution modelling is key in many aspects of species management, including understanding current distributions of threatened species, predicting how distributions might change in future, supporting threat management, and controlling invasive species. Jane's research impact is unusually strong for someone almost 11 years full-time equivalent from a PhD. She is a Thomson Reuters highly cited scholar, placing her in the top 1% of scholars internationally, and was awarded the 2015 Prime Minister’s prize for Life Scientist of the Year and the 2016 Frank Fenner medal from the Academy of Science. In 2017, she was elected as a Fellow of the Australian Academy of Science.